Square Enix, the makers of Tomb Raider, Deus Ex announced a multi-game partnership with Marvel today. 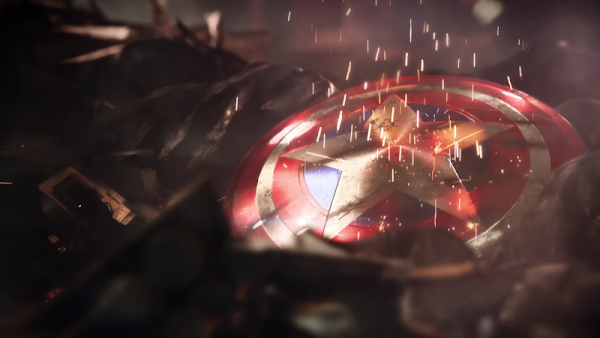 The first part of this deal will bring a new Avengers game titled The Avenger's Project. A trailer for the untitled project can be seen below, featuring narration from a mysterious character. "They say the time of heroes is over," a woman says. "That if you're 'different,' you're dangerous. But I know the truth. The world will always need heroes. We just need to reassemble." The trailer shows Dr Banner's (aka the Hulk) glasses, Thor's hammer, Captain America's shield, and Iron Man's gauntlet, all in a state of damage. Black Widow's (Scarlett Johansson's) voice narrates, as the tagline "reassemble" suggests that the team will have to be put together somehow. The next Avengers movie is 2018's Avengers: Infinity War, which started filming this week in Atlanta. The game is expected to arrive after 2018, so we can only assume it will be some sort of follow up to the events of the film.